The Educator Hub is a web-based multiprofessional e-learning resource for clinical educators. It brings together video-based modules from HEE Kent, Surrey, Sussex’s etft platform together with the more academic ones from London’s Multiprofessional Faculty Development site. Nearly 50 modules will be available initially, with complementary resources from elsewhere to be included in due course. Modules are linked to the new ‘Professional Development Framework for Educators’ which is being adopted in London and South East in the first instance. The framework domains map to professional regulatory standards for education and training including HEE’s Quality Framework standards and are applicable to all educators working in clinical practice and Higher Education Institutions (HEIs) as guidance for best practice. All of the content on The Educator Hub is free to access, with no registration necessary. However, registration is recommended, as this allows users to track their learning, provide feedback on sessions, and retain certificates of completion. 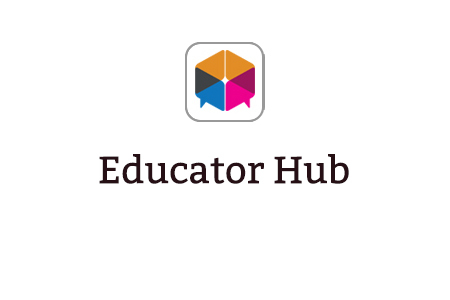 All of The Educator Hub content can be accessed at https://educatorhub.e-lfh.org.uk and if you wish to access without registering select the ’Browse our catalogue’ button. If you do not have an e-LfH account you can register on The Educator Hub at https://educatorhub.e-lfh.org.uk and then enrol on the Educator Training Resource programme by selecting My Account > Enrolment and selecting the programme. You can then access the programme immediately in the My e-Learning section. If you already have an account with e-LfH, then you can enrol on to the Educator Training Resource programme by logging in to the e-LfH Hub as normal or you can log in and enrol on https://educatorhub.e-lfh.org.uk selecting My Account > Enrolment and selecting the programme. You can then access the programme immediately in the My e-Learning section. The Accessible Information Standard programme is also available to NHS healthcare staff via the Electronic Staff Record (ESR). Accessing this e-Learning via ESR means that your completions will transfer with you throughout your NHS career.